With the growing demands of enterprise outdoor Wi-Fi users, customers’ expectations of outdoor Wi-Fi has gone beyond the basic network connection. Outdoor Wi-Fi deployments for small and large areas are often different and how to improve the user experience while minimizing costs has always been a concern for enterprises. 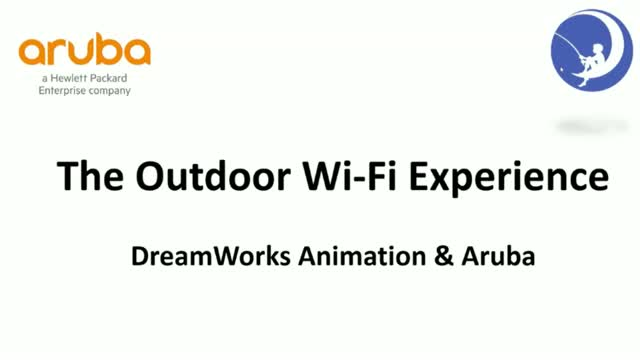 This webinar will address various outdoor use cases and their most appropriate solution; DreamWorks Animations will share their real-life outdoor deployment experience with the audience, including their unique outdoor Wi-Fi requirements, deployment challenges and their future move to enable an always-on indoor/outdoor Wi-Fi connectivity in the entire work place. Join us to learn more about the current challenges and benefits of outdoor Wi-Fi and ways to meet the new demands and performance standards.